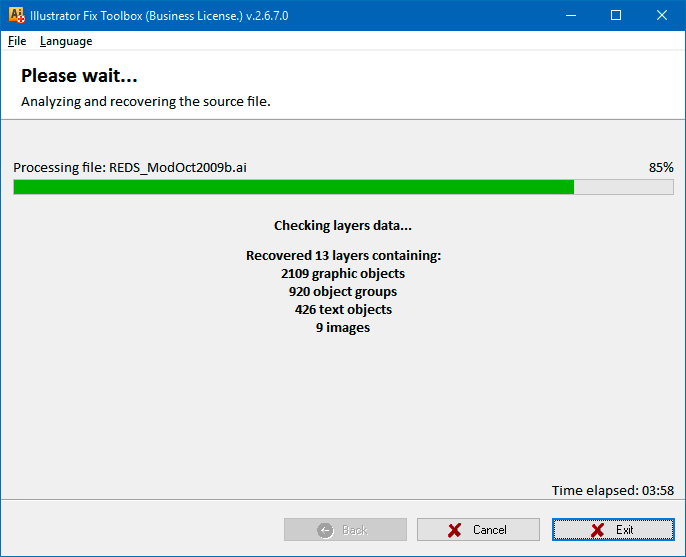 Illustrator Fix Toolbox is a simple, easy, and reliable tool for recovering information from damaged *.ai files, used by the Adobe Illustrator graphics editor. Software helps to fix Illustrator’s drawing projects all versions. Reconstruct illustrations from all graphical objects found in the file. Display the quantity of graphical objects recovered. Special algorithms to analyze illustration contents and verify data integrity. Uses its own unique data paging algorithm to reduce memory usage. The Adobe Illustrator fix damaged file procedure is fully automated, allowing even an inexperienced user to get the job done without difficulty. The Illustrator .ai fix software can helps if Illustrator file won’t open. 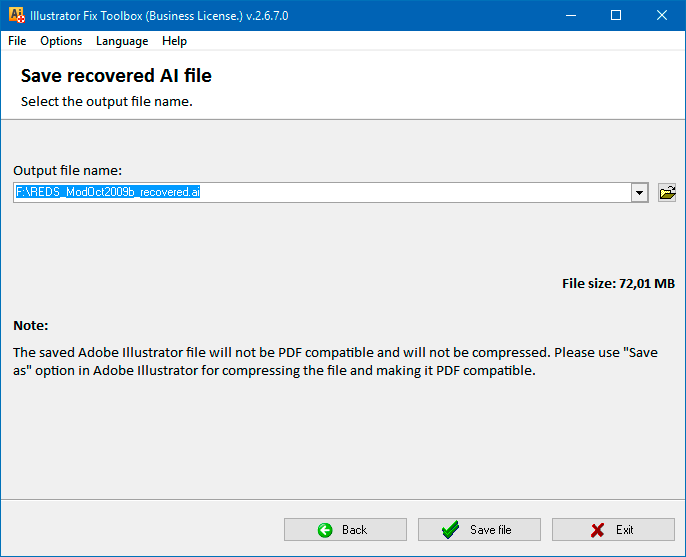 The Adobe Illustrator corrupt file fix tool helps to solve many errors in *.ai files. Note: The program is not licensed under GNU General Public License (GPL) or GNU Lesser General Public License (LGPL). 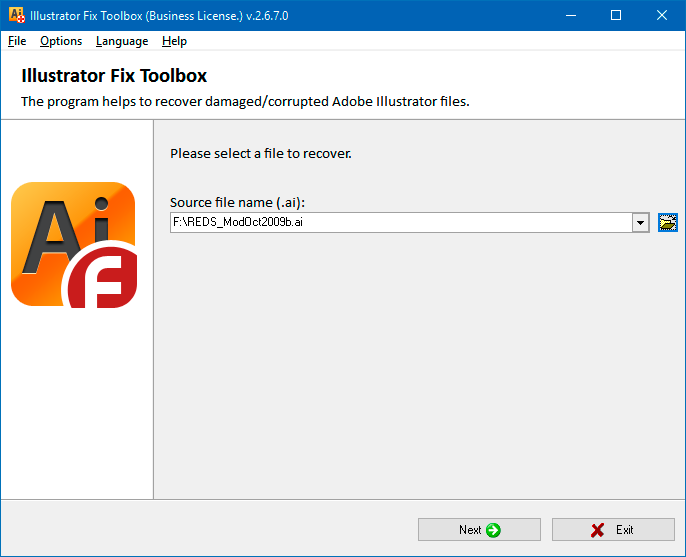 Illustrator Fix Toolbox is not open source software or a freeware tool. 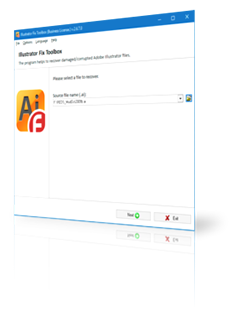 Illustrator Fix Toolbox is distributed on the try-before-you-buy basis with a free DEMO version. 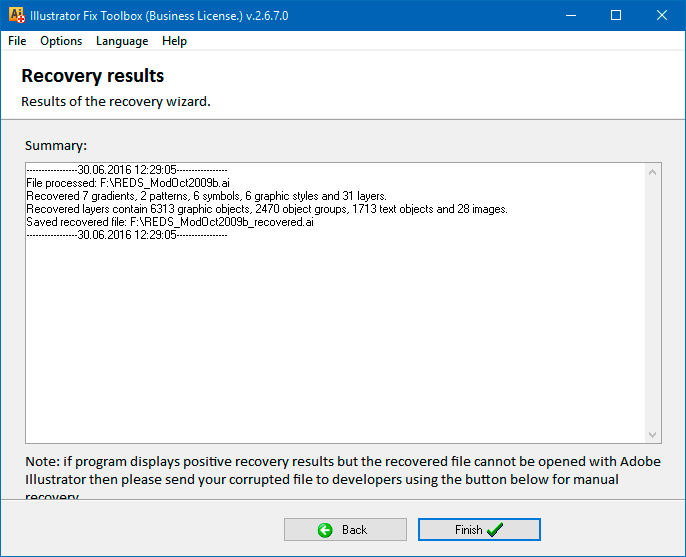 Analysis of the file and data recovery. Viewing the log of performed operations.